Adams Autoworx in Castro Valley is a friendly place to bring your Smart car for service or repairs – we are a full service auto repair shop that can perform full range of services – from an oil service, to factory recommended maintenance, to complex diagnostics, to major repairs. At Adams Autoworx we are your Castro Valley Smart car service and repair specialists. Our highly trained, nationally ASE certified technicians can provide Smart car maintenance services, as well as advanced Smart car diagnostics and repairs. We combine state-of-the art diagnostic equipment with extensive diagnostics and Smart car repair experience. Servicing your Smart car with Adams Autoworx satisfies the requirements to keep manufacturer warranty in force. Our master technicians can diagnose and repair a wide range of problems a Smart car might experience. Our Castro Valley Smart car repair shop can perform not only manufacturer recommended maintenance, but also engine diagnostics & repair, fuel pump repair, A/C service & repair, brake repair, electrical system diagnostics & repair, clutch repair, cooling system service & repair, transmission service – to name just a few. 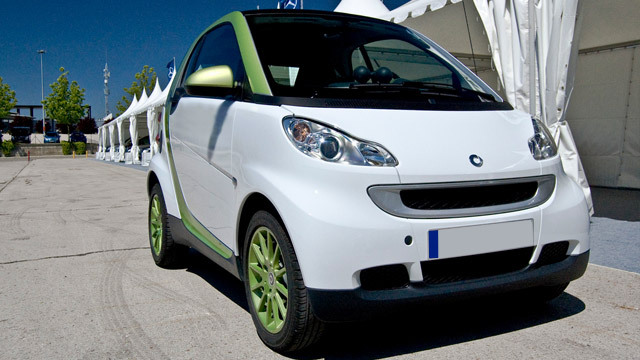 We also offer Smart car pre-purchase inspections. So next time your Smart car needs oil service, or if something is amiss, bring it to Adams Autoworx, and we will take great care of your vehicle. Call to make an appointment.